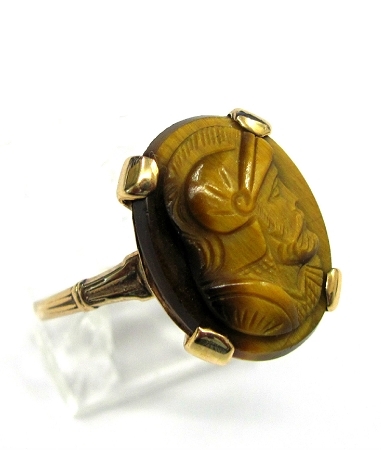 Ladies 10kt yellow gold estate ring. 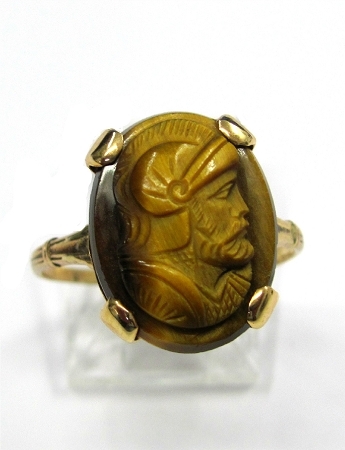 Ring contains an oval tiger eye cameo. Please specify ring size when ordering.